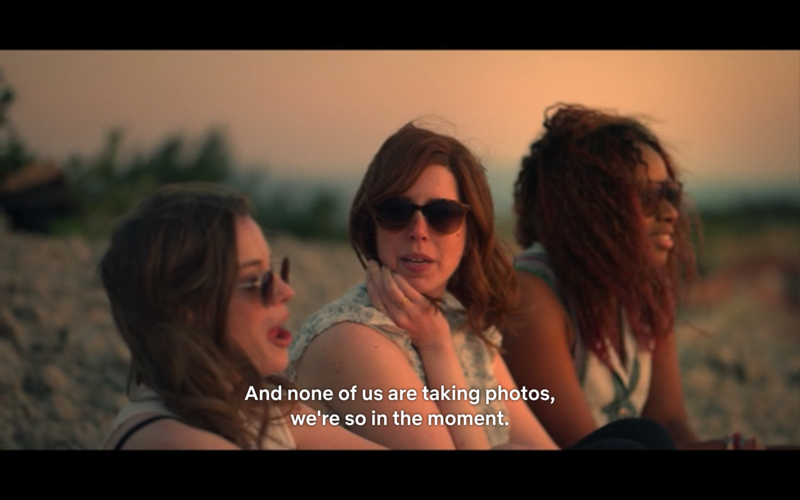 I watched Ibiza on Netflix last night. I watched Ibiza on Netflix last night because I was exposed to a ton of advertising for it in Times Square while I was doing background work for a Japanese commercial. Bizarrely, hours later, the cast of Ibiza would show up, apparently after a wrap party, to celebrate their Time Square billboard placement while I was filming this commercial. Okay, more reinforcement to watch this movie? 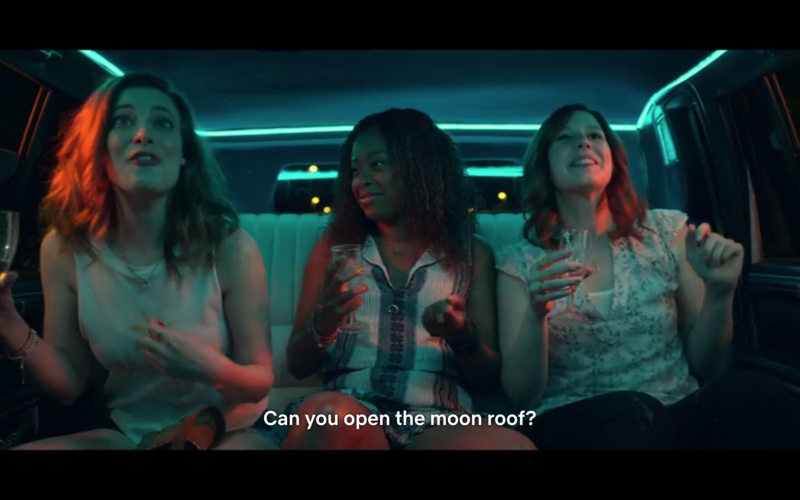 I was sold as soon as I saw Gillian Jacobs in a unicorn onesie, but OK, Vanessa Bayer in front of my face, OK I’ll watch this movie universe, geez. This movie was what I would call a fantasy feeder and it was feeding the fantasy for my exact demographic, which is interesting considering I felt like I was part of the most targeted advertising attempt of all time. I was exposed to this ad for so long while doing a ton of physical activity in the middle of Times Square. A million takes of jumping and running. I don’t know if I would have watched this film if not for that Times Square ad and everything that transpired while I was exposed to the ad! My demographic is milliennial twatty somethings who wear unicorn onesies to EDM festivals and do all the drugs if offered but are not really druggies. This movie was made for my demographic and it hit the spot. I had SEVERAL lol moments (or is it lml now? Am I too old to supposed to care?) and felt compelled to watch until the credits. These days, it’s very rare I make it anywhere near the credits. Part of what made this work for me is Gillian Jacobs’ beautiful face. I could watch Gillian Jacobs for probably ever, she just has that kind of face. Add to that the comedic chops of her sidekicks Phoebe Robinson and Vanessa Bayer and my interest is kept. and relevant to my interests. I saw the billboard- Loved. Saw the distributor (Netflix, I have access to that, great)- Loved. Saw the logline (“A young American woman and her two best friends seek out a hot DJ in Spain.”)- Loved. I didn’t even mind how cheesy it was, it was a welcome cheese. I didn’t even mind the mozzarella of a plot point of the trio getting in a random cab in Ibiza and finding a cab driver so nice that he switched to driving them in a limo AND whose niece happened to be a dancer at the club that they needed to get into. Of course they got into the club, easy, all it took was pure, blind luck! I love the pictures! And of course everything turns out okay and there are no consequences for any of the terrible choices made, because no one made terrible choices, they made fun choices. Fun choices lead to more fun. Usually. Grateful for a film that didn’t have violence and wasn’t super dark and was funny and didn’t make me feel bad or stressed out. Good stuff. A+ marketing. Previous Why are you single?